"Your kitchens look amazing after you're finished your magic!" 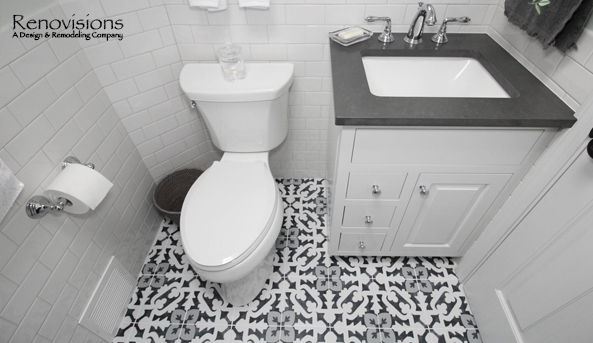 Renovisions is a full service design and build company specializing in kitchen and bath remodeling. We provide products such as cabinetry, flooring, countertops, hardware and fixtures as well as tile and appliances right from our South Shore of Boston showroom located at 150 Broadway in Hanover’s Four Corners. We implement a successful 9-Step process to kitchen and bath remodeling that is organized and systemized, minimizing inconveniences for you. We offer Informational kitchen and bath presentations to educate consumers on the ins and outs of kitchen and bath remodeling. 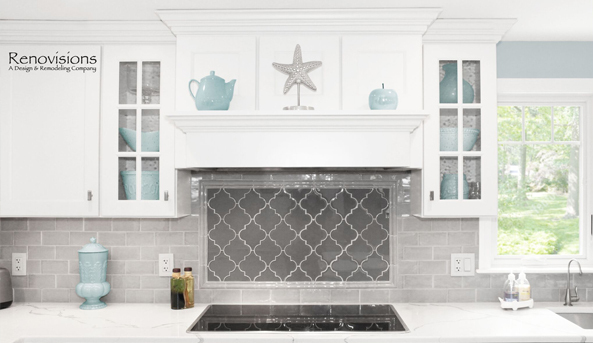 We are dedicated to being your reliable source of information and sound advice for your next kitchen or bath remodel; empowering you to make the right decisions for you and your family. As a design/build company, we are proud to say that we stay with your project from start to finish. We will make your ‘Renovision’ experience a positive one and your investment a sound one! 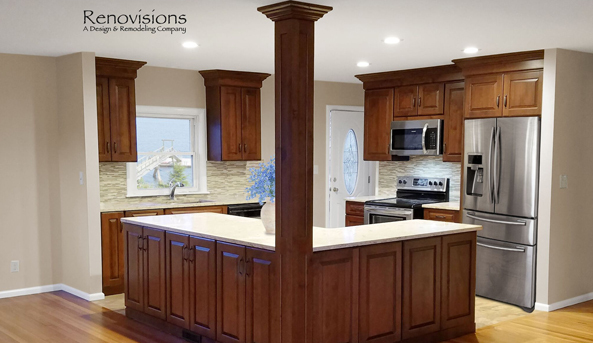 Of all the different types of projects completed by Renovisions, we believe that if done right, kitchen and bath remodeling still provides homeowners with the greatest ROI. 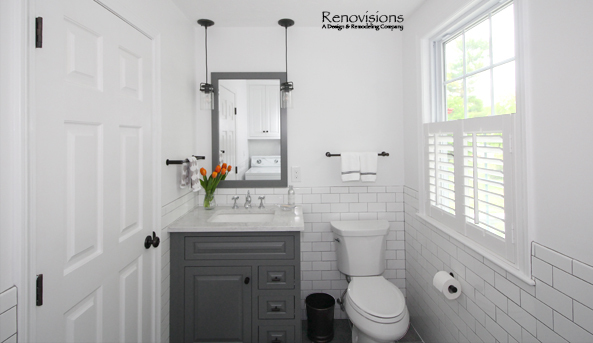 Renovisions implements a design/build team approach to kitchen and bath remodeling that sets us apart by handling the entire construction aspect of the job. Coordinating the work from start to finish takes the burden off our clients, minimizing inconveniences as they often juggle work and busy children’s schedules. 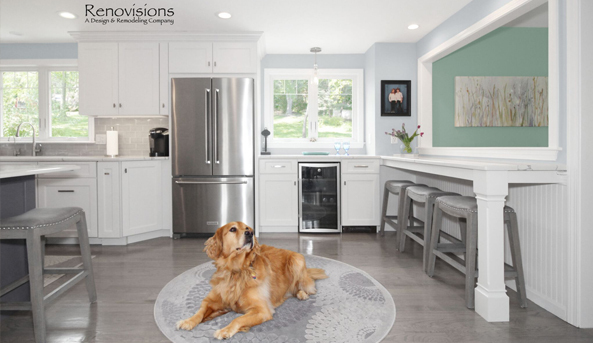 “Doing a great job means having the client return for additional Renovisions or referring us to their friends, neighbors and relatives” says Cathy and Ed, owners of Renovisions.